The new year is here. If you’re hoping to increase productivity in 2019, there are plenty of apps to help. Here is a list of tools to get things done in 2019. There are to-do lists, task managers, team collaboration platforms, calendars, and time-management apps. Nearly all of these have free plans. Todoist is a suite to manage your tasks. 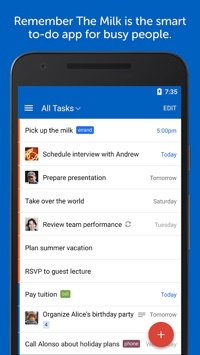 Capture and organize tasks into your to-do list. Remember important deadlines and increase productivity with automatic recurring due dates. Highlight your day’s most important activities with color-coded priority levels. See an overview of your daily and weekly accomplishments with customized productivity graphs. Price: Free. Premium plans start at $3 per month. 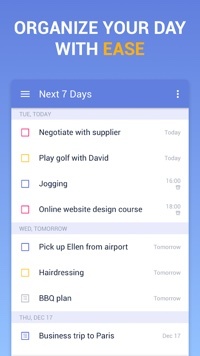 Any.do is an all-in-one to-do list, calendar, and reminders app. Use Any.do to add and track tasks, set reminders, create smart lists, plan your day, and collaborate on shared projects. Prioritize tasks on your checklist with a daily planner. 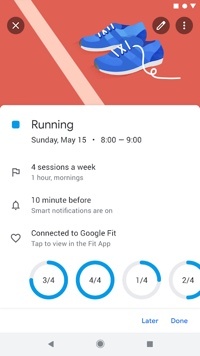 Use location-based reminders for on-the-spot notifications. Receive follow-up meeting reminders to keep up with important action items. 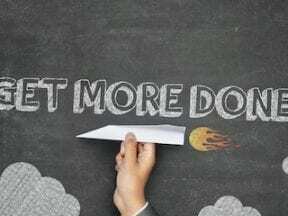 Quickly prioritize to-dos to achieve your most important goals. Utilize voice commands to dictate new events and manage lists. Price: Free. Premium plans start at $2.99 per month. Remember The Milk is a smart to-do app. Get reminded via email, text, instant message, Twitter, and mobile notifications. Organize with priorities, due dates, repeats, lists, tags, and more. See tasks nearby and plan the best way to get things done. Integrates with Gmail, Google Calendar, Twitter, Evernote, and more. Price: Free. Pro is $39.99 per year. TrackingTime is an app to manage projects, track work, and measure productivity. 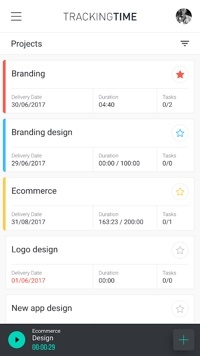 Stay organized and monitor your working hours in real-time. Organize clients, projects, and tasks on your dashboard, and see the work being done by others on your team. Get real-time updates, comments, and notifications. TrackingTime creates in-depth time analytics, timesheets, and performance reports automatically. Price: Free for teams up to three. Pro plan is $4.99 per user per month. Hitask is a project planner for getting tasks done. Assign, prioritize, and remind tasks to your team with lists. Check the progress of each project and see what your organization is working on. Generate project reports, and enable time tracking. Sync agendas with any device so you and your team can collaborate from anywhere. Price: Free. Premium plans start at $5 per user per month. DropTask is a task management tool with a simple and colorful interface for individuals and teams. Work with up to two colleagues in real-time. Send daily summary emails to review what’s upcoming and overdue. 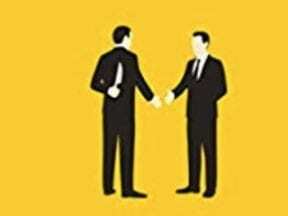 Assign tasks, and keep tasks and conversations together. Use a customizable workflow board to manage a project. Price: Free. Business plan is $10 per month. Flow is a project collaboration app for teams. Plan ahead, set priorities, and track projects from start to finish, from simple checklists to Kanban boards. Plan by day, week, or month, and see project status at a glance. Search and filter to focus on a single project or a person’s entire workload. Visually map out tasks and deadlines. Share your plan with your team, and easily update it as work progresses and things change. Price: Plans start at $4.79 per user per month. 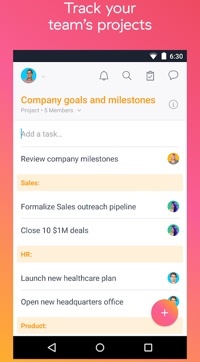 Asana is a team collaboration app to turn goals into workable plans. Set priorities and deadlines. Share details and assign tasks. Monitor the status of all your projects in real-time. Create visual project plans to see how every step occurs over time. 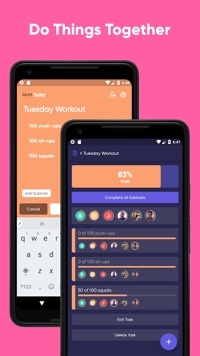 Price: Plans start at $9.99 per user per month. 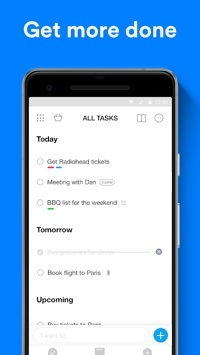 Things is a personal task manager. List your goals and create projects. 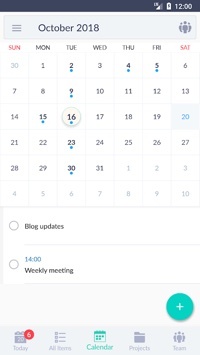 Set the calendar for one-time and repeating events alongside your to-dos. Review your Today list for daily parameters. Customize your workflow with tags or add content. Price: $9.99. 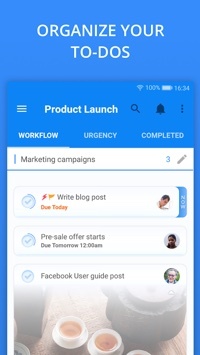 Taskful is a smart to-do list and task manager app that helps you track and meet deadlines. It breaks down all of your tasks and only shows you what you need to do today. Automatically tracks steps with the Health app on iOS. Price: Free. TickTick is a to-do and task management app. Set tasks and create checklists. View plans on a calendar. Organize your day on a timeline. Share task lists for collaboration. 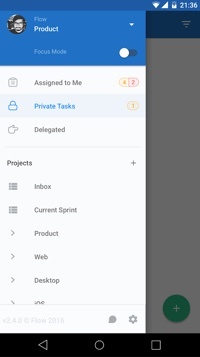 Add tasks via email. Classify tasks with tags. 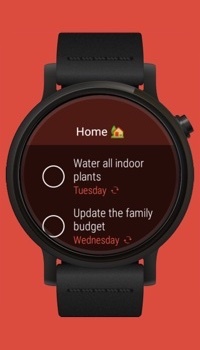 Set recurring tasks, and receive multiple reminders. Price: Free. Pro plan is $2.99 per month. 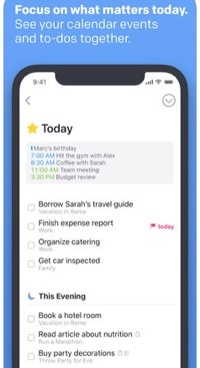 Microsoft To-Do is a simple and intelligent to-do list app that’s in beta — building on the Wunderlist to-do app, which Microsoft acquired and will eventually shut down. Organize your day with To-Do’s smart suggestions to complete the most important tasks or chores. Create recurring due dates. Add detailed notes to every to-do. Collect all your tasks and notes in one place. Price: Free. 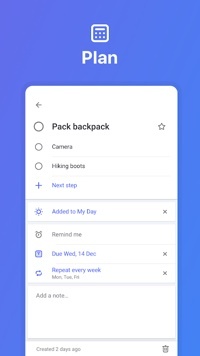 Google Tasks lets you manage, capture, and edit your tasks from anywhere, with to-dos that sync across all your devices. Integrations with Gmail and Google Calendar help you get tasks done faster. Create a task directly from an email in Gmail. Set a due date for every task. Receive due-date reminders to keep your tasks on track. Price: Free.